For those trying to live the #zerowaste life, it can be devastating to see how much plastic waste results from just one trip alone. Think about all the plastic cups used for drinks onboard flights, the never-ending supply of plastic water bottles in hotels—not to mention all the flimsy plastic used to package small amenities such as cotton pads and Q-tips. Multiply that by the growing number of travellers at any given moment and you can see how the problem piles up. That’s why Anchalika Kijkanakorn, founder and managing director of Akaryn Hotel Group (which includes the Aleenta and akyra hotel brands), has pledged to become a single-use plastic free hotel by the year 2020. The first step? Opening Asia’s first single-use plastic-free hotel in Bangkok this June. 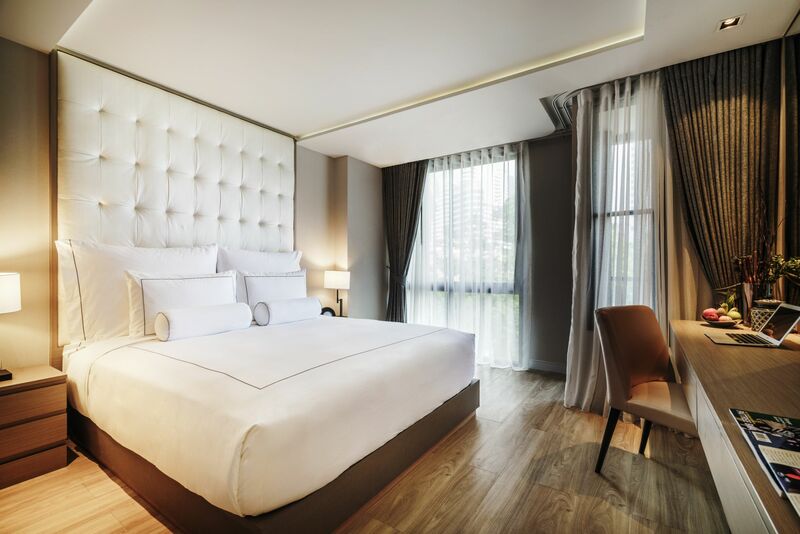 The akyra TAS Sukhumvit Bangkok, which is part of SLH (Small Luxury Hotels of the World), will not be using any single-use plastics in its rooms or F&B outlets. Every hotel guest is provided with a stylish akyra stainless steel water bottle that they can refill at any time from water dispensers on each floor. The bottles can also be taken along on their daily excursions to the city’s markets and shopping malls. In the hotel itself, bathroom amenities will be provided in “celadon” pottery containers and biodegradable bags will be used in the bins. Guests will will also have the option of using akyra’s shopping bags in order to avoid getting more plastic bags with their purchases. With over eight million tonnes of plastic thrown away each year, it's great to see a hotel group like Akaryn taking a big step towards alleviating the problem. Now the only question is—which hotel group (or company) will be next?